St Leonards has recognised excellence across a wide range of areas with the presentation of the School’s annual scholarship awards. 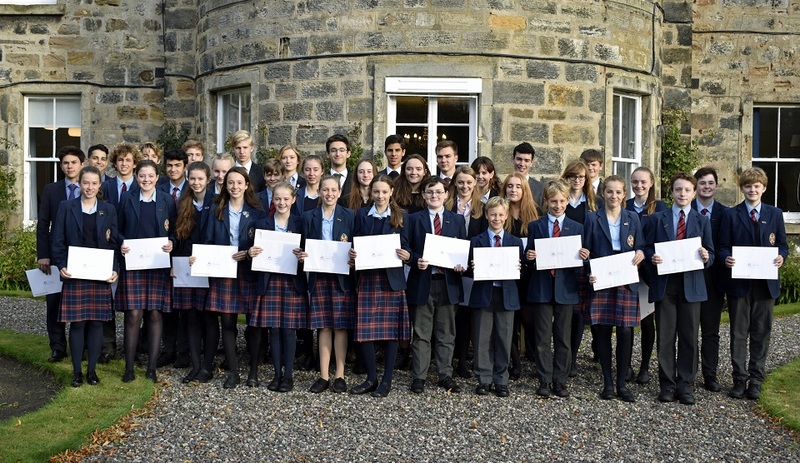 The new scholars were announced at a special assembly on Tuesday, 9 October, with awards for outstanding achievements in music, drama, art, sport, golf and academic study. Eilidh Jarrett, Mark Doherty, Charlotte McFadyen, Nicholas Muller (Year 8); Niamh Headon (Year 9); Martin Dandalov (Year 10; Ellen Caton, Emma Rubidge, Lauren Denton, Francesca Livesey-Stephens, Jamie Robertson, Georgie Robertson (Year 12); Joshua Shenoy, Calum McKinney (Year 13).